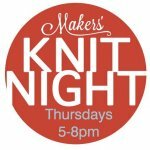 Knit Night at Makers' Mercantile! As we always like to do things a little different; knit nights at Makers' Mercantile include amusing games, contests and/or raffle drawings. There may even be a fun prize or two! 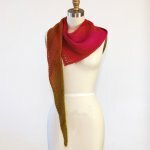 Learn to knit the Shift Cowl by Andrea Mowry. Skills taught in this class are: working with multiple colors of yarn, slipping stitches, I-cord edging, and finishing techniques. 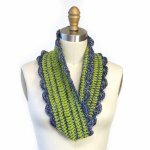 Learn to knit a gorgeous accessory you will want to wear every day! Join Liz for this advanced beginner class. Learn all the basics you need to become a full-fledged knitter! 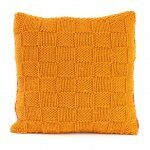 Crochet can be fast and easy! 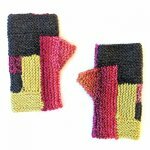 Join Marie Greene of Olive Knits for this brilliant one-day knitting workshop. Have you ever enjoyed knitting and finishing that first sock and then the thought of finishing the second one feels like a chore? You have Second Sock Syndrome! Beginning Crochet 2 is the perfect class for you to solidify your new skills. Want to learn to knit? This class gets you going in no time!